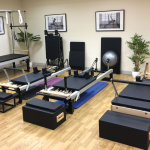 Hugely popular with fitness enthusiasts, instructors, health professionals and physiotherapists the world over, foam rollers are versatile exercise aids that can benefit health and fitness in a number of ways. Commonly used by athletes and runners, foam rollers are used as a form of self-myofascial release, as foam rolling is an effective way of applying pressure to release muscle tightness and aid recovery. Whilst ensuring your safety, please feel free to try out your foam roller with some of the provided exercises below. Perfect for a total body workout or recovery sessions, see how the multi-functional Foam Roller can be used to aid exercises and rehabilitation. Rest your upper back against the foam roller underneath your shoulder blades. Bend your knees so your feet lie flat on the floor. Lift your buttocks and place your hands behind your head. 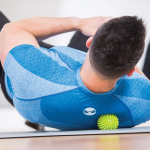 Keeping your core muscles tight, slowly roll back and forward so that the roller moves up and down between the middle of your spine and the top of your shoulder blades. Rest your lower back on the foam roller with both knees bent and feet flat on the floor. 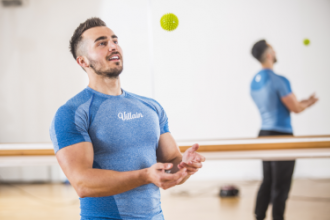 Tighten the core by keeping your abdominal muscles tensed to support your upper body, whilst providing support for your spine. Keep your head and neck in a neutral position and look straight ahead. Roll from just above your hips to just below your lower ribs. Lie on your right side with your right arm extended along the floor with the foam roller directly underneath your right armpit. Bend your left arm and lightly place your left hand on the floor for support. 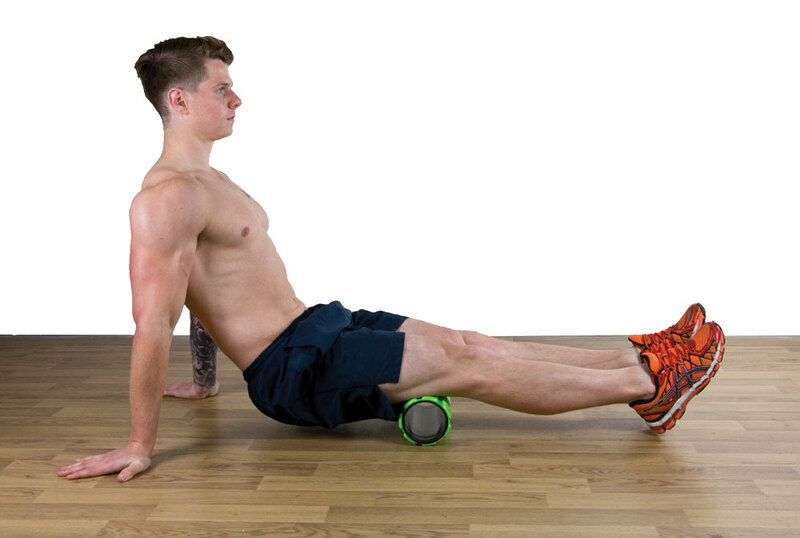 Roll up and down so the foam roller moves from your armpit to just above your waist. Once finished, switch over to work your left side. Lie face down with the foam roller positioned underneath your thighs. Bend your elbows so that your forearms are flat on the floor to support your weight, with your feet suspended above the floor. 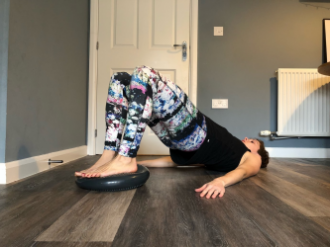 Tensing your abdominals and keeping your core muscles tight, use your arms to gently roll your body back and forward to move the foam roller from your pelvic bone to just above your knees. Sit on the floor with your legs straight. Extend your arms to lift your glutes and place the foam roller underneath your buttocks and bend one leg. Proceed to angle your body so that one buttock bears the brunt of your weight. Move your glute back and forth across the foam roller and once finished, move your weight to the other side and repeat. Position your left hip against the foam roller on the floor. Cross your right leg over your left and put both hands on the ground for support. Using your left arm to assist the motion, roll your thigh back and forth over the foam roller from below the hip to above the knee. Once finished, switch positions to work your right leg. Sit with your legs extended in front of you with the foam roller directly underneath your thighs. Place your hands flat on the floor behind you for support. Using your arms to initiate the motion, slowly roll back and forth to move the foam roller up and down from the bottom of your glutes to just above your knees. Whilst on your hands and knees on the floor, place the foam roller underneath your shins. Position your hands in front of your shoulders on the ground with your heels rotated slightly outward. 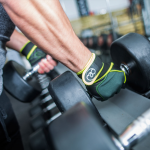 Shift your weight forward, bringing your shoulders in front of your hands and moving the foam roller from your ankles to just below your knees. Sit on the floor with the foam roller underneath your calves. Place your hands on the floor behind you and raise your buttocks off the floor, meaning all of your body weight should be on your hands and the foam roller. Slowly roll back and forward to move the foam roller from just below your knees to above your ankles. Note:Health Warning:Nothing in this blog post should be construed as medical advice. Always consult your doctor before undertaking any exercise program. Neither MAD-HQ nor Writer can be held responsible for any injury, accidents or damage resulting from ideas or exercises discussed on www.mad-hq.com, MAD-HQ blog or blog posts.